Facts are and must be the coin of the realm in a democracy. Unfortunately, for citizens in the United States and throughout the world, distinguishing between fact and fiction - always a formidable challenge - is now more difficult than ever, as a constant stream of questionable information pours into media outlets. 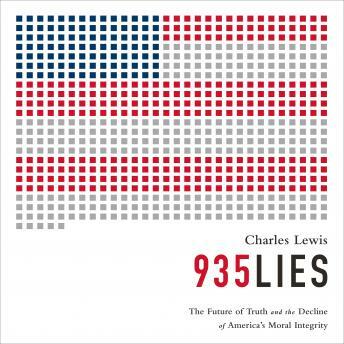 In 935 Lies, Charles Lewis reminds us of the history of public dishonesty in the United States, from President Lyndon B. Johnson's cover-up of the real motives behind the Vietnam War, to George W. Bush's public rationales for military action in Iraq and Afghanistan, and how courageous investigative journalists stood up to power to bring truth to light. He then explores the implications for today: what are the root causes and consequences of this kind of mass deception? Lewis argues forcefully that while data points and factoids abound, it is much harder to get to the whole truth of complex issues in time for that truth to guide citizens, voters, and decision-makers.